It’s been a week exactly since the world lost one of it’s most gifted musicians. 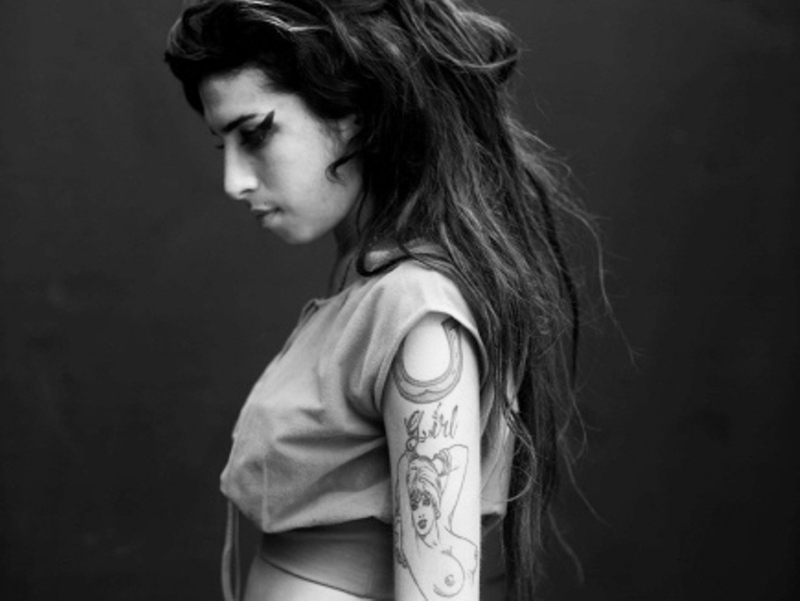 I’ve had a lot of people ask me why I didn’t write something the day Amy Winehouse died. That night, I opted to post a picture in Amy’s spirit, which I suppose could have been seen in bad taste, but I thought it might have been something she would have giggled at if she saw it herself. But I never met her, so I suppose I’ll never know. I resisted from writing anything back then, because I wanted some time to look back and sum up my feelings properly. Amy’s music has given me so much since I first discovered it that I felt I should invest a few of of my own hours and write something proper. I want to start but putting things into my perspective. In this phenomenon that we have today called ‘the diva’, only one really stands out for me. And that’s Amy. Because what she felt, she wrote herself, and she sang beautifully. You knew the words that came out of her mouth were from real emotions that she went through. Don’t get me wrong, these singers are hugely talented. But to me, they are robots. And it’s proof that while the public love to see clean-cut, well rehearsed artists, they also want to listen to musicians who don’t care much for choreography, or creating the next club hit or inspiring the next dance craze. Amy’s music just connected. Let’s talk numbers, as that seems to be all people talked about upon hearing Amy’s passing. She was twenty-seven, and part of this ’27 club’. But look closer. Amy had two albums. Just two. Combined, twenty-four songs. Twenty-four songs. That’s all. And it’s those twenty-four songs (plus a handful of b-sides and covers) which I have played over and over in the last few years to help me figure life and love. Twenty-seven. We were both the same age, and yet this woman- who I had never met- seemed to make me see sense in the love that worked so well, the love that failed so bad, the men that made me complete and the men that destroyed me to pieces. The first time I saw Amy live was November 2004, at the soul-less box that was Manchester Academy. The room was half empty. Right there and then, I fell in love. I stole the poster from that night and tacked it on my wall at my student flat. Friends would walk in and see this big, blue poster with a sultry woman wearing big earrings with a look that goes right through you, and ask who she was. ‘She’s Amy Winehouse’, I would say. ‘She’s amazing. She’s going to be huge one day’. The blog that you read this post on now started from me spotting emerging artists and predicting the good ones to get big. Amy was my first (and probably biggest) prediction. Again, it wasn’t a very busy room, but one with people who were just mesmerised by her. And she just sang her heart out. A few days later, I remember being in the shower after a rough day at work, and overhearing ‘Rehab’ being played for the first time on Capital Radio. I squealed a little, because I never thought she would be played on a pop station. But she was. A few more days later, those same work mates who asked me who Amy Winehouse was would say to me ‘Oh I heard that Rehab song on the radio- it’s not bad’. And the rest was history. Remember those moments when you pack away memories of a broken relationship into boxes? Amy’s ‘Take the Box’ would be the soundtrack. And listen to the song, ‘In My Bed, the lyric ‘The only time I hold your hand is to get the angle right’ – was a lyric that held truth when up until just a few years ago I was so jaded with love that the idea of holding someone’s hand terrified me. I always think what song I would want played on my funeral. I realise people opt for songs about taking on life and beating it and being bigger, cleverer, stronger or wiser individuals. But where’s the sense in that; when through all your constant battles, death still overtook life, and there you are in a box. No, I would want to have a different type of song for me. Amy’s rendition of ‘Teach Me Tonight’ would be perfect. It’s all about the naivety of new found love, the willingness to explore someone who fascinates you so much that your heart and mind just surrender. Because when you look at the bigger picture, life is about love. We are born to love, and love is all we really have, and it’s all we’ll be remembered for in death. We live to find purpose in our existence through a union with that one other special person. For me, a failed life will be one where I ignored love for the sake of power, pride or prejudice. Days will go by, months will evolve into years, and years become decades. Artists will come and go, and there will always be new music that will touch your heart, and there will always be songs that will become synonymous with events in your life. Some musicians will be idolised, some forgotten. But for me, this one, small, powerful and delicate lady, will be the equals to my youth. And on that note, I think I’ll finish this. Music is my life. She was, and still is, my favourite recording artist. I’m only twenty-seven, and who knows how long I’ll live until. But I’m pretty sure Amy will be with me for some time yet.